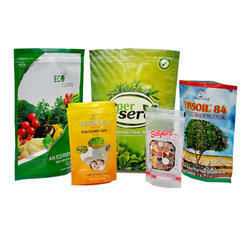 Leading Manufacturer of stand up pouch, stand up zipper pouch and stand up nozzle pouch from Mumbai. We recognize as one of the best manufacturers and suppliers of Stand Up Pouch which contains various layers of plastic, aluminum etc., other materials. It provides protection for your food from physically and environmental hazards that they will face during transportation and storage. Available Color Red, Golden, Purple etc. We are engaged in the manufacturing and supplying of Stand Up Zipper Pouch at the massive scale in the market. 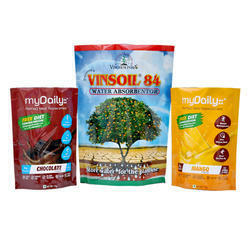 These bags have the ability to stand up on a shelf for large sales due to its flexible packaging design. 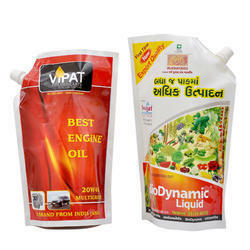 Keeping in view the segregated and growing demands of the industry, we are involved in presenting a huge collection of Stand Up Nozzle Pouch which is mainly provided for dashboard snacks and serves to the necessities of market sectors that needs artistic packaging solutions. We make the use of latest technology and supreme quality raw material to develop these products in conformity with industry set norms.